"Rainbow Wishes" is a dreamy soft sheen rainbow. "Dream Dust" is a blinding sparkle with 3D Pigments. Showing 2 of our total 10 reviews, with an average rating of 5 stars. 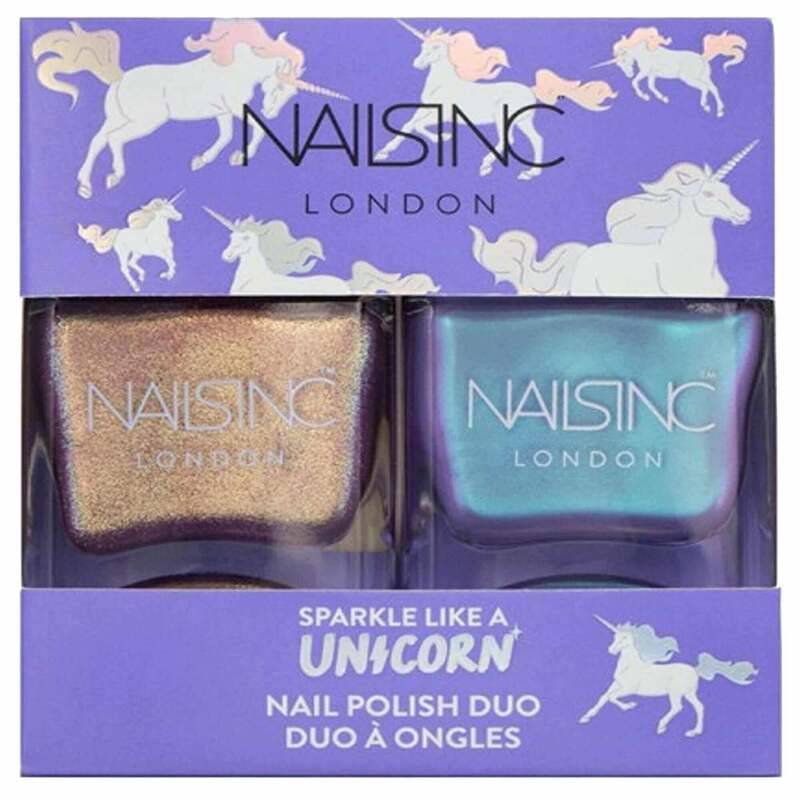 Read all 10 reviews for Nails inc Sparkle Like A Unicorn - Nail Polish Duo Set (2 x 14ml) (9545). Beautiful colours that are two toned so go with so many outfits. Applies well and is hard wearing. Get so many comments about the colour and have had to re order for my mum and god mother. Would definately recommend! Two easy, brush stroke free coats. It's such a beautiful nail polish set. I'm a Nail Inc fan now because of these polishes. Stunning effect.